You’re thinking about investing in a business for your future and the support team that’s going to guide you along your journey is of the utmost importance. Here at Furniture Medic, we have an experienced support team of professionals, ready and waiting to guide and assist you through your comprehensive training programme and along your way to growing a successful Furniture Medic business. Support, additional training and business advice is unlimited and available whenever required. There are regional seminars and refresher course available at various points in the year, along with one to one training offered during all area visits. Support continues following the initial training in the form of routine visits, phone calls and emails from your Network Operations Manager and technical team. your technical team has many years’ experience in the practical and operative field with their wealth of knowledge being of great benefit to our franchisees. Our 50+ Leicester bases support team also includes staff that can advise you on marketing, HR and staff matters, IT, products and equipment, health and safety, finance and accounting and business development… we’re with you every step of the way. There are may training opportunities available. 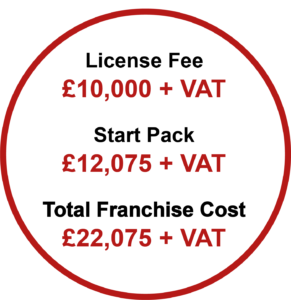 Your first training course will be the comprehensive two-week Academy that all new Furniture Medic franchisees undertake before trading. Your initial training is included within your starter pack. Our experienced personnel teach Furniture Medic methods including upholstery repair, leather restoration, precision and structural repairs, finishing and other furniture enhancing techniques. This is in addition to marketing, selling and health and safety procedures. The combination of franchise training manuals, products and equipment and computer instruction gives you a practical, well-rounded understanding of the aspects of the Furniture Medic franchise. We cover all the preparation, procedures and systems necessary to develop, manage and operate a professional furniture restoration franchise. It is our goal to develop individuals to their fullest potential. As quality performance begins and ends with people, the final result of training our employees is the creation of values for our customers. As you grow your business, our regional workshops, specialised training courses and other Furniture Medic training resources will continue to provide training opportunities for you and your employees. It’s important to note that the Furniture Medic franchise model does not require that you have polishing or upholstery skills, but an aptitude for D.I.Y is important.